There’s no positive affect with Child Abuse. Many situations can affect children throughout their lives being from a positive to a negative experience; every experience a child goes through affects them in some way being good or bad. There are many ways to discipline a child but physically or mentally striking a child damages their own abilities to promote a healthy life structure. During a Child's year of growing they are susceptible to almost everything around them bad or good. The affects of abuse whether it be physical, mental, or sexually have negative outlooks on the young ones future life. The consequences of abuse to a child range from physical health, psychological, behavior, and societal problems. There’s a combination of factors that individually combine to create the problem such as, the age the child is abused, the type of abuse, the severity of abuse, and the relationship between the victim and his or her abuser. The resilience of a child brings characteristics such as optimism, self-esteem, intelligence, creativity, humor, and independence, as well as the acceptance of peers and positive individual influences such as teachers, mentors, and role models. The immediate physical effects of abuse or neglect can be relatively minor, such as bruises/cuts or severe ranging from broken bones to death. In some cases the physical effects are not long term but the pain and suffering they caused the child. According to the National Survey of Child and Adolescent Well-Being (NSCAW), more than one-quarter of children who had been in foster care for longer than 12 months had some lasting or recurring health problem. Shaking a baby is a common form of child abuse. The injuries caused by shaking a baby may not be immediately noticeable and may include bleeding in the eye or brain, damage to the spinal cord and neck, and rib or bone fractures. NSCAW found more than three-quarters of foster children between 1 and 2 years of age to be at medium to high risk for problems with brain development, as opposed to less than half of children in a stable environment. Several studies have shown a relationship between various forms of household dysfunction, including childhood abuse and poor health; adults who experienced abuse or neglect during childhood are more likely to suffer from physical ailments such as allergies, arthritis, asthma, bronchitis, high blood pressure, and ulcers. The immediate emotional effects of abuse and neglect/isolation, fear, and an inability to trust can translate into lifelong consequences, including low self-esteem, depression, and relationship difficulties. Depression and withdrawal symptoms were common among children as young as 3 who experienced emotional, physical, or environmental neglect. In one long-term study as many as 80 percent of young adults who had been abused met the diagnostic criteria for at least one psychiatric disorder at age 21. These young adults exhibited many problems, including depression, anxiety, eating disorders, and suicide attempts. Other psychological and emotional conditions associated with abuse and neglect includes panic disorder, dissociative disorders, attention-deficit/hyperactivity disorder, depression, anger, post-traumatic stress disorder, and reactive attachment disorder. NSCAW found that children placed in out-of-home care due to abuse or neglect tended to score lower than the general population on measures of cognitive capacity, language development, and academic achievement. A 1999 LONGSCAN study also found a relationship between substantiated child maltreatment and poor academic performance and classroom functioning for school-age children. Children who experience rejection or neglect are more likely to develop antisocial traits as they grow up. Parental neglect is also associated with borderline personality disorders and violent behavior. Not all victims of child abuse and neglect will experience behavioral consequences. However, behavioral problems appear to be more likely among this group, even at a young age. An NSCAW survey of children ages 3 to 5 in foster care found these children displayed clinical or borderline levels of behavioral problems at a rate of more than twice that of the general population. Studies have found abused and neglected children to be at least 25 percent more likely to experience problems such as delinquency, teen pregnancy, low academic achievement, drug use, and mental health problems. Other studies suggest that abused or neglected children are more likely to engage in sexual risk-taking as they reach adolescence, thereby increasing their chances of contracting a sexually transmitted disease. Abused and neglected children were 11 times more likely to be arrested for criminal behavior as a juvenile, 2.7 times more likely to be arrested for violent and criminal behavior as an adult, and 3.1 times more likely to be arrested for one of many forms of violent crime. Research consistently reflects an increased likelihood that abused and neglected children will smoke cigarettes, abuse alcohol, or take illicit drugs during their lifetime. According to a report from the National Institute on Drug Abuse, as many as two-thirds of people in drug treatment programs reported being abused as children. 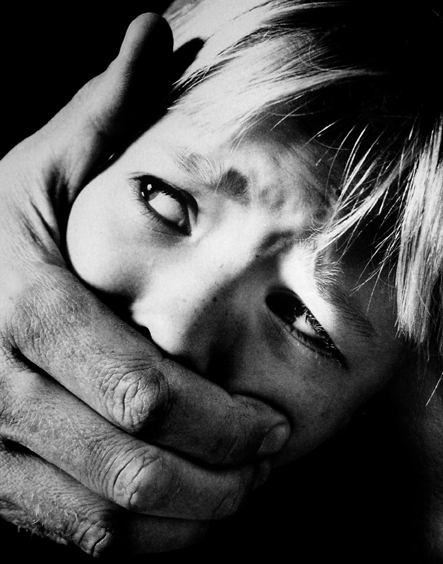 Abusive parents often have experienced abuse during their own childhoods. It is estimated approximately one-third of abused and neglected children will eventually victimize their own children. While child abuse and neglect almost always occur within the family, the impact does not end there. Society as a whole pays a price for child abuse and neglect, in terms of both direct and indirect costs. Direct costs include those associated with maintaining a child welfare system to investigate and respond to allegations of child abuse and neglect, as well as expenditures by the judicial, law enforcement, health, and mental health systems. Prevent Child Abuse America estimates these costs at $24 billion per year. Indirect costs represent the long-term economic consequences of child abuse and neglect. These include costs associated with juvenile and adult criminal activity, mental illness, substance abuse, and domestic violence. They can also include loss of productivity due to unemployment and underemployment, the cost of special education services, and increased use of the health care system. Prevent Child Abuse America estimated these costs at more than $69 billion per year. The effects vary depending on the circumstances of the abuse or neglect, personal characteristics of the child, and the child's environment. Consequences may be mild or severe; disappear after a short period or last a lifetime; and affect the child physically, psychologically, behaviorally, or in some combination of all three ways. Child abuse is more than bruises or broken bones. While physical abuse is shocking due to the scars it leaves, not all child abuse is as obvious. Ignoring children’s needs, putting them in unsupervised, dangerous situations, or making a child feel worthless or stupid are also child abuse. Regardless of the type of child abuse, the result is serious emotional harm. All types of child abuse and neglect leave lasting scars. Some of these scars might be physical, but emotional scarring has long lasting effects throughout life, damaging a child’s sense of self, ability to have healthy relationships, and ability to function at home, at work and at school. . If you can’t trust your parents, who can you trust? Abuse by a primary caregiver damages the most fundamental relationship as a child—that you will safely, reliably get your physical and emotional needs met by the person who is responsible for your care. If you’ve been told over and over again as a child that you are stupid or no good, it is very difficult to overcome these core feelings. You may experience them as reality. Adults may not strive for more education, or settle for a job that may not pay enough, because they don’t believe they can do it or are worth more. Sexual abuse survivors, with the stigma and shame surrounding the abuse, often especially struggle with a feeling of being damaged. Abused children cannot express emotions safely. As a result, the emotions get stuffed down, coming out in unexpected ways. Adult survivors of child abuse can struggle with unexplained anxiety, depression, or anger. They may turn to alcohol or drugs to numb out the painful feelings. Sticks and stones may break my bones but words will never hurt me? Contrary to this old saying, emotional abuse can severely damage a child’s mental health or social development, leaving lifelong psychological scars. Child neglect—a very common type of child abuse—is a pattern of failing to provide for a child's basic needs, whether it be adequate food, clothing, hygiene, or supervision. Child neglect is not always easy to spot. Sometimes, a parent might become physically or mentally unable to care for a child, such as with a serious injury, untreated depression, or anxiety. Other times, alcohol or drug abuse may seriously impair judgment and the ability to keep a child safe. Older children might not show outward signs of neglect, becoming used to presenting a competent face to the outside world, and even taking on the role of the parent. But at the end of the day, neglected children are not getting their physical and emotional needs met. 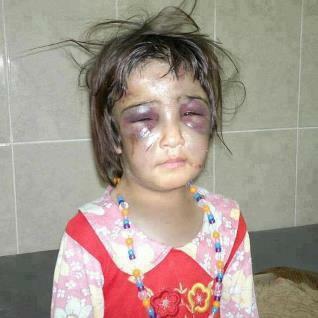 Physical abuse involves physical harm or injury to the child. It may be the result of a deliberate attempt to hurt the child, but not always. It can also result from severe discipline, such as using a belt on a child, or physical punishment that is inappropriate to the child’s age or physical condition. Many physically abusive parents and caregivers insist that their actions are simply forms of discipline—ways to make children learn to behave. But there is a big difference between using physical punishment to discipline and physical abuse. The point of disciplining children is to teach them right from wrong, not to make them live in fear.Without this base, it is very difficult to learn to trust people or know who is trustworthy. This can lead to difficulty maintaining relationships due to fear of being controlled or abused. It can also lead to unhealthy relationships. Unpredictability. The child never knows what is going to set the parent off. There are no clear boundaries or rules. The child is constantly walking on eggshells, never sure what behavior will trigger a physical assault. Lashing out in anger. Physically abusive parents act out of anger and the desire to assert control, not the motivation to lovingly teach the child. The angrier the parent, the more intense the abuse. Using fear to control behavior. Parents who are physically abusive may believe that their children need to fear them in order to behave, so they use physical abuse to “keep their child in line.” However, what children are really learning is how to avoid being hit, not how to behave or grow as individuals. really good details and very informative.